Ample rest and sleep are crucial to sustaining your overall health. Your body demands sleep the same way it demands air, water, and food. It is critical that your brain and body have the rest phase they require to re-boot every single day. Lack of sleep can distress your heart by overburdening the muscle with excessive strain and stress. Heart attacks, strokes, cardiovascular disease and – in severe circumstances – death have all been linked with sleep disorders. Your body, specifically your heart, amasses stress throughout the day. When you eventually rest at night, your heartbeat grows slower and the heart muscle starts to decompress, releasing those stresses. Your blood pressure decreases, and the pace of age-related disease contributors drops substantially. Your body requires this time to recoup and gain enough energy to face another day. In sleep, your brain and body rejuvenate themselves. You can curb illnesses such as obesity, hypertension, memory loss, and diabetes. Habitual snoring is a symptom of a more serious health concern identified as sleep apnea. People with sleep apnea are threatened with a blockage in their airway. Regrettably, they usually don’t realize they have a problem. The obstruction impedes their ability to obtain oxygen consistently throughout the night. 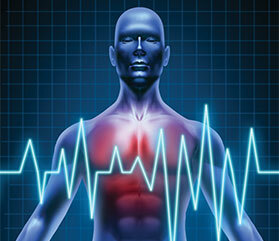 Sleep apnea is a chief causal factor to heart disease. Those inflicted with sleep apnea experience higher blood pressure, which is a primary risk factor for both heart disease and stroke. The results of sleep loss can be aggravated health concerns and even premature death. Furthermore, sleep deprivation can have negative effects on the performance of your brain, escalating stress hormones and leading to depression. Even if you have only minor sleep apnea, using an oral appliance can result in a lessening of or even the termination of snoring. This could be a fabulous gift to your partner as well as yourself! The treatment for sleep apnea has traditionally been the CPAP device, and it remains the principal means for controlling moderate to severe sleep apnea. CPAP stands for Continuous Positive Air Pressure. A patient is measured for a mask attached to a machine via hoses that send a constant stream of air into the patient’s nose or mouth during the night. However, many people find this irritating and they stop wearing the mask. If you suffer from sleep apnea and can’t stand or are frustrated with your CPAP, we can offer you a different form of treatment. Dr. Leach can custom fit you with an oral appliance such as the Metz or TAP™ (Thornton Adjustable Positioner). These are acrylic devices that slide over the upper and lower teeth much like an orthodontic retainer or mouthguard. These devices gently adjust the position of your tongue and jaw to open your airway and permit more air flow to your lungs as you sleep. They are simple to place, quick to remove, a breeze to clean, and handy for travel. These devices are outstandingly comfortable and have an excellent success rate for easing sleep apnea and snoring. 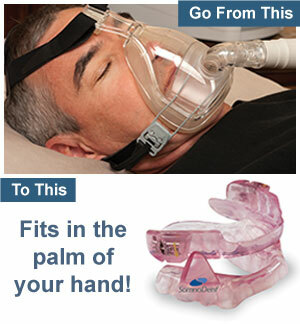 Snoring and sleep apnea don’t have to fill your nights. Give us a call today at (423) 586-3432 for a no-cost/no-obligation consultation.